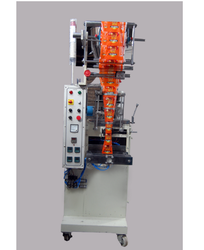 Our range of products include servo packaging machine. Capacity up to 1 Kg. For our regarded benefactors, we are giving an astounding arrangement of Pulses Packaging Machine that takes care of on customer's demand. Our items are accessible to our supporters at modest costs. Additionally, every one of our items is made with a preeminent review of crude material sourced from dependable traders of the market.